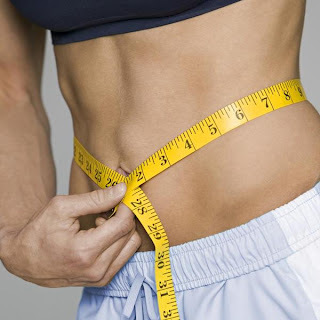 If you have gained a lot of weight in your last pregnancy or you could not let go of that extra kilos gained in last Christmas, it's time to get going and start a plan to achieve a flat stomach. I'm not saying it will be easy, but not impossible, provided you have perseverance and determination. Let's talk about the 3 points you should take into consideration. First, drink plenty of water during the day (at least 8 large glasses). This will help to eliminate toxins from the body faster. Since you will be doing quite to the bathroom, make sure to eat a banana a day to replace the potassium that you lose when you urinate too. Second, follow a healthy diet. 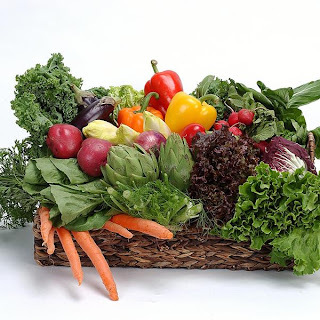 If you go to a nutritionist, much better, since being in the hands of a professional you will ensure you will not miss any nutrients in your body according to your height and body mass. If you do it on your own, a key to not fail in your nutrition is mentally from the dish into 3 parts - one must have green vegetables, complex carbohydrates and other last proteins. Third, exercising at least 3 times a week, not just doing aerobics such as walking or cycling. To get flat abs you must also do toning exercises. You gradually begin to work the muscles without hurting yourself, and when you go increasingly feeling strong and toned, you'll be increasing the intensity and amount thereof. Some exercises to consider are: lying on the floor with arms and legs outstretched, elevate them, trying to touch toes with fingertips. Try to keep your back straight and not to hurt you back to the starting position. This exercise is good for both the upper and lower abdomen. Start with 30 repetitions and then go adding another session of 30 to do 3 sets of 30 each. Lying on the floor on your back with knees bent, legs spread, then returns to the original position. Start with 15 repetitions in two series, then you're adding repetitions as mentioned in the previous exercise. These are just examples, there are several highly known exercises, just choose those who resent your body, according to your current fitness level. The idea of ​​having a flat stomach without evidence is a chimera. To do this you must start with 3 days a week of exercise and if you can start adding more until you complete the 6 consecutive days and rest on Sunday. It may sound tedious if you do not enjoy exercise, but when you start to see results at the end of four weeks, you will not want to go back. Breathing is very important to do the exercises. You must learn to regulate and accompany the exercise as directed. This will have greater strength and not feel exhausted just getting started, as this will only get discouraged and give up training. You must do everything possible to encourage you (and not otherwise). To tone your belly no excuses. Even if you have a busy life between home and work whenever you can get for a while to work out in places where you are doing other activities. For example, when you drive you can contract and relax your belly every day by adding repetitions. Or, while those sitting at the computer in the office can do the same exercise. Remember, no excuses!. Always there when allies help you get a flat stomach cutting corners. One highly effective and widely used by the models, is the cayenne pepper. Consumed in capsules or a small teaspoon diluted in water or your favorite dishes daily, will help boost your metabolism and thus be burning stored fat faster. Motivate yourself and start today! Research from Wake Forest Baptist Medical Center found that foods rich in soluble fiber (beans, fruits, vegetables) help burn belly fat. You should be getting at least 25 grams of it a day; up your intake gradually so you don't get gassy.